Chelsey Jasper Purvis was born about 1800 in Dooley County, Georgia and died on December 5, 1866 in Dale County, Alabama. He lived to be 66 years old. Click on any of the News, Events, or Discoveries buttons above to see historical things that happened during Chelsey Purvis's life. These are only some of the major events that affected the life and times of Chelsey, his family, and friends. For example, Chelsey is 3 years old when Louisiana Purchase from France (who secured it from Spain) gives the US a huge new territory and the port of New Orleans. 1 1801 Clarke and Tatnall Counties formed. 2 1802 Georgia formally cedes western claims for its southern boundary at the 31st parallel -- which will become a border between,GA, FL and AL. GA's western border reaches to the Mississippi River. 7 1807 December 10 - Jasper, Jones, Laurens, Morgan, Putnam, and Telfair Counties formed. 8 1808 Pulaski County created. 9 1809 Twiggs County formed. 11 1811 Madison County created. 12 1812 Emanual County formed. 13 1813 During 1813-14, Muskogee-speaking Creeks leave GA and move into areas in Northern FL in response to the Creek Civil War (also known as the Red-sticks War). 17 1817 First Seminole war begins as Georgia backwoodsmen attack Indians just north of the Florida border. !817-1818. General Andrew Jackson invades the area. 19 1819 Rabun County formed. 20 1820 December 20 - Campbell and Randolph Counties formed. 21 1821 May 15 - Dooly, Fayette, Henry, Houston, Monroe and Newton Counties formed. 22 1822 December 9 - Bibb, Dekalb and Pike Counties formed. 23 1823 December 8 - Decatur County formed. 24 1824 December 15 - Upson and Ware Counties formed. 25 1825 Baker, Lowndes, Thomas, Butts and Taliaferro Counties formed. 26 1826 January 24 - Treaty of Washington abrogates Treaty of Indian Springs. The Creeks cede a smaller area and are allowed to remain on their lands until January 1, 1826. 27 1827 December 14, - Harris, Marion, Meriwether and Talbot. 30 1830 Cherokee, Heard, and Stewrt Counties are formed. 31 1831 Sumter County is formed. 32 1832 December 3 - Bartow, Cobb, Crawford, Floyd, Forsyth, Gilmer, Lumpkin, Murray, Paulding, and Union Counties formed. 33 1833 Walker County is formed. 36 1836 Seminoles massacre Major Francis L. Dade and his 103 man command. This starts the second Seminole War. February - Battle of Hitchity. March 27 - Colonel J.W. Fannin and his Georgian's executed by order of Santa Ana at Goliad on Palm Sunday. July - Battle of Brushy Creek. July 3 - Battle of Chickasawachee Swamp. July 27 - Battle of Echowanochaway Creek. 37 1837 Mcon and Dade Counties are formed. 50 1850 Gordon and Clinch Counties are formed. 51 1851 Clay, Howell, Polk, Spalding, and Whitfield Counties are formed. 52 1852 Taylor County formed. 53 1853 Catoosa, Pickens, Hart, Dougherty, Webster, Flton, and Worth Counties aare creaated. 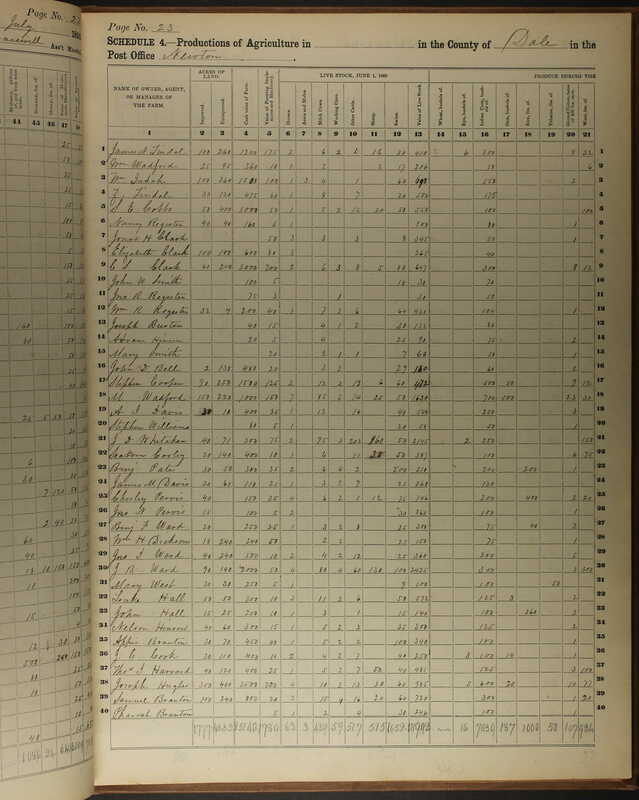 54 1854 Fannin, Coffee, Chattahooche, Charlton, and Calhoun Counties formed. 56 1856 Haralson, Terrell, Berrien, Colquit, Miller, and Towns Counties formed. 57 1857 Dawson, Milton, Pierce, Glascock, Mitchell, Schley, White, and Wilcox Counties formed. 58 1858 Clayton, Quitman, Banks, Brooks, Johnson, and Echols Counties formed. Born somewhere in Georgia about 1825 and died in Walton, Florida about 1888. She was about 63 years old. Her parents were: Chesley Purvis and Lydia Wright Purvis. Polly and Thomas were married in 1847 in Dale Cy, FL. Born somewhere in Georgia on August 30, 1827 and died in Walton County, Florida about 1890. She was about 62 years old. Born somewhere in Georgia on April 28, 1828 and died somewhere in Alabama about 1900. He was about 71 years old. 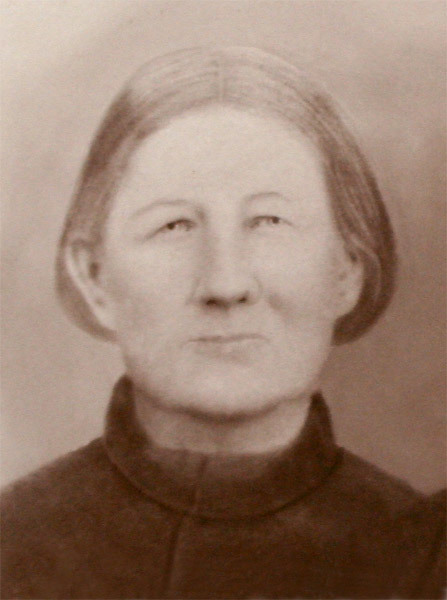 Born somewhere in Georgia on November 18, 1830 and died in Walton Co., Florida on November 15, 1913. She was 83 years old. Her parents were Lydia Wright & Chelsey Purvis.